Eggplant.. what to do with it?! 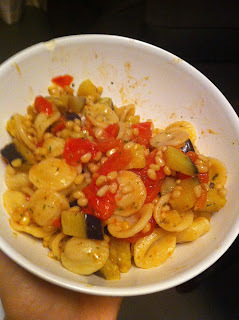 Eggplant, tomatoes sauteed in olive oil, garlic and onion with orecchiette pasta and toasted pine nuts. Easy, peasy! Hope you are having a healthy and happy day!